It's been a really fun weekend, busy, but a great weekend! 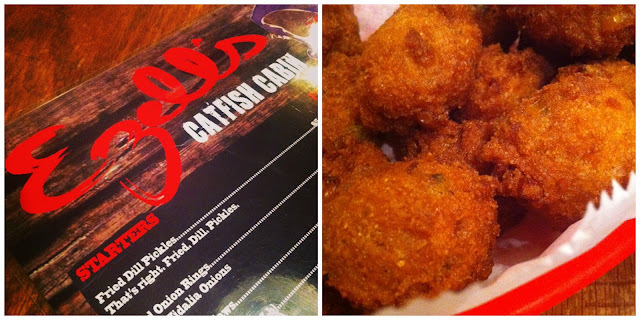 We went to eat at Ezell's Fish Camp in Calera. Soooo good. If you are from the country like we are, and love a good fish camp... make your way to this one just below Birmingham, Ala. You won't regret it! We had a busy day, but it started with breakfast on the deck listening to the rain and ended with seeing an old friend from Meridian who now lives in Memphis! 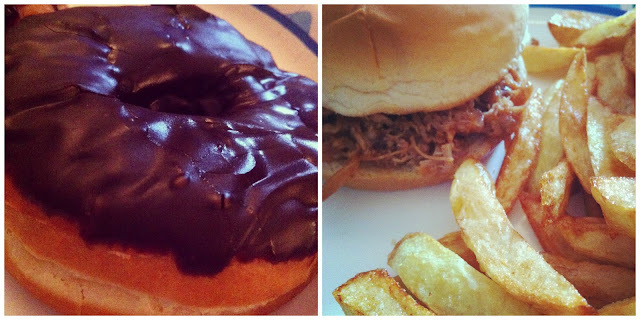 Donuts for breakfast, leftovers for lunch and a lot of blogging for the next two weeks. How was your weekend? Anyone else need another day like me? At least we know another weekend with a holiday is on the horizon!! those hushpuppies look amazing. Nothing beats a fish fry. I LOVE Ezell's! Delish hushpuppies and slaw too! So happy to have a three dayer coming up!